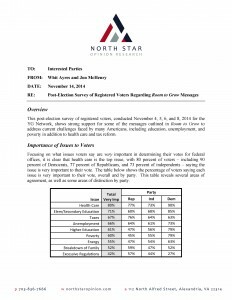 Our post-election survey of registered voters, conducted for the YG Network, shows strong support for messages outlined in Room to Grow to address current challenges faced by many Americans, including education, unemployment, and poverty in addition to health care and tax reform. Please click the images below for the memo, toplines, presentation, and crosstabs. WASHINGTON — The capital’s shutdowns and showdowns have tested the patience even of the Senate chaplain. “Save us from the madness,” he prayed at the opening of one session last week. But how, exactly? The roots of the nation’s polarized and sometimes paralyzed politics, decades in the making, are too complex and far-reaching to be easily reversed or resolved. Even so, some political scientists and politicians argue that making simple changes — expanding who can vote in primary elections, for instance, or rethinking how legislative districts are drawn — could make a difference in the kind of government that follows. A nationwide USA TODAY/Bipartisan Policy Center poll finds a majority of Americans support a range of proposals aimed at easing hyper-partisanship and building confidence in elections. Some command the sort of broad bipartisan backing rare in national politics. Allow independents to vote in primaries? Yes. Require photo IDs to curb voter fraud? Definitely. Find an alternative to having legislatures draw congressional districts? Maybe. Vote over the Internet? Well, no. The survey of 1,000 adults by Republican pollster Whit Ayres and Democratic pollster Mark Mellman, taken Sept. 19-23, has a margin of error of +/-3 percentage points. To read the full story, please click here. For the toplines, crosstabs, and analysis memo, please visit the Bipartisan Policy Center website here. Americans who blame Washington politicians for the polarization and gridlock of the nation’s politics might want to look in the mirror: Like the elected officials they decry, voters tend to automatically retreat into partisan camps even when they disagree with the party line on policy. A USA TODAY/Bipartisan Policy Center Poll shows that the officials who have been unable to avert the automatic spending cuts known as sequestration – the current debate centers more on who’s to blame for them – in some ways reflect constituents who view the opposition party as deeply untrustworthy and its positions extreme. Though most Republican and Democratic voters say American politics are more polarized than the American people are, the findings indicate that on that they’re wrong. To read the full story, please click here. For the toplines, please visit the Bipartisan Policy Center website here. In this last Resurgent Republic survey before the election, taken October 23-25, Mitt Romney has caught up with President Obama, and now leads the national ballot by 48 to 47 percent. The Romney advance has been driven by Independent voters who have moved toward Romney in the wake of the three Presidential debates. President Obama defeated Senator John McCain among Independent voters in 2008 by eight percentage points (52 to 44 percent), one of the main reasons Obama won the presidential election. But this survey shows Obama’s support collapsing among Independents. Governor Mitt Romney leads Obama among Independents by 51 to 39 percent. If those numbers hold, that would mark a net 20-point turnaround for Obama among Independent voters in four years. For the full analysis, including links to the toplines and infographic, please click here. Our August survey for Resurgent Republic shows that voters reject the notion that the country is moving “Forward,” and that on key issues facing the country, they think the US is worse off now than when President Obama was elected. The survey also shows that President Obama is the candidate outside the ideological mainstream. On a five-point ideological scale with 1 meaning very liberal and 5 meaning very conservative, voters place themselves at 3.33 (just right of center), closer to Mitt Romney (3.88) than to Obama (2.07). 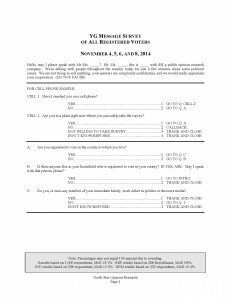 Please click here for the full results, including the memo and presentation summarizing the survey. 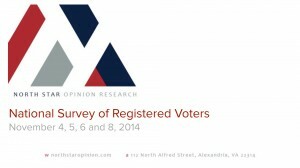 Our March survey for the YG Policy Center, conducted with 1,000 registered voters nationally, focused on attitudes regarding the 2010 health care reform law. The results show that, nearly two years after its passage, voters remain opposed to the health care reform law, are skeptical of its effects, and think President Obama’s claims about the law before its passage are not true. Our presentation of the results can be seen here. An analysis memo written for the YG Network is available here, and the full results are available here.